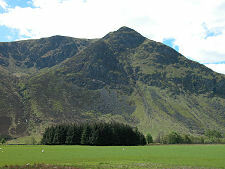 Glen Clova is the best known and most popular of the Angus Glens. It runs for some 18 miles north then north west from Kirriemuir before finishing at Glendoll. Here Glen Clova ends, as does public road, while Glen Doll continues to push further north west into the Cairngorms, providing a route for an ancient track over the mountains to Braemar. 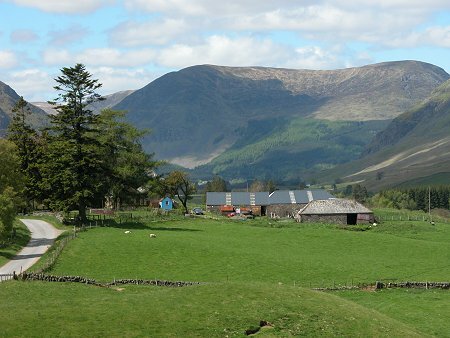 Those intending to visit Glen Clova need to know that there is no longer any accommodation available at Glendoll. 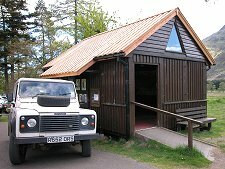 The old SYHA youth hostel has been converted into a family home, while the camp site that the Forestry Commission used to operate here had to close: ironically because the facilities that could be made available couldn't cope with the popularity of the site. 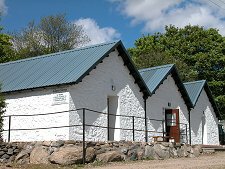 There is still accommodation available at Clova, some three quarters of the way up the glen. Here you find the Glen Clova Hotel complete with a climbers' bar and, for those on a budget, a bunkhouse. 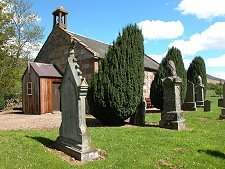 There is also B&B accommodation available in Clova. As you follow the B955 north from Dykehead into Glen Clova you reach a junction near Gella. From here the road progresses up both sides of the flat valley floor carved out by the meanders of the River South Esk. There is an unofficial one-way system operated in this part of Glen Clova. Traffic heading north is encouraged to use the western side of the valley, while that returning south is encouraged to use the eastern side of the valley. This matters, because the roads within Glen Clova are single track, and while adhering to the unofficial system certainly doesn't guarantee you won't meet anyone coming the other way, it does tend to make life easier for everyone. Progressing up the west side of Glen Clova, the views ahead become grander as gentle hills give way to truly magnificent mountain scenery. 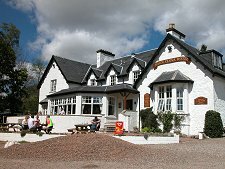 For many, the destination is the large car park at the Glen Clova Hotel. Those going further will find that the unclassified road from Clova to Glendoll is still narrower than the B955 you've driven so far. Particular care is needed given that many of those using the road seem unfamiliar with the skills of driving single track roads. En route you pass the remains of Clova Castle, built in the 1500s. 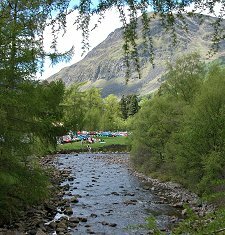 On summer weekends Glen Clova generally, and Glendoll in particular, can be very busy: and its not unknown for the car park by the ranger station to overspill into what used to be the camp site. But it's very easy to leave the crowds behind you, for spectacular mountain scenery lies in every direction. Overlooking the Glendoll Forest from the west is the Corrie Fee National Nature Reserve. This is one of the most important sites for arctic-alpine plants in Britain and comprises one of the best examples of a glacial corrie in the British Isles with a magnificent natural amphitheatre of cliffs. With a recently upgraded path and a Ranger Service this is one of the hidden gems of the area. 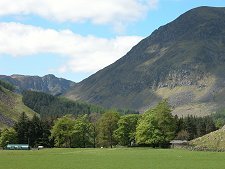 Another popular walk heads south west through the Glendoll Forest before climbing steeply up the Kilbo Path linking Glen Doll with Glen Prosen. At the top this reaches a high pass giving easy access to two Munros, individual mountains over 3,000ft high: these are Driesh to the east and Mayar to the west.